Results for search "Premature Birth". Inducing Labor Not a Risk? 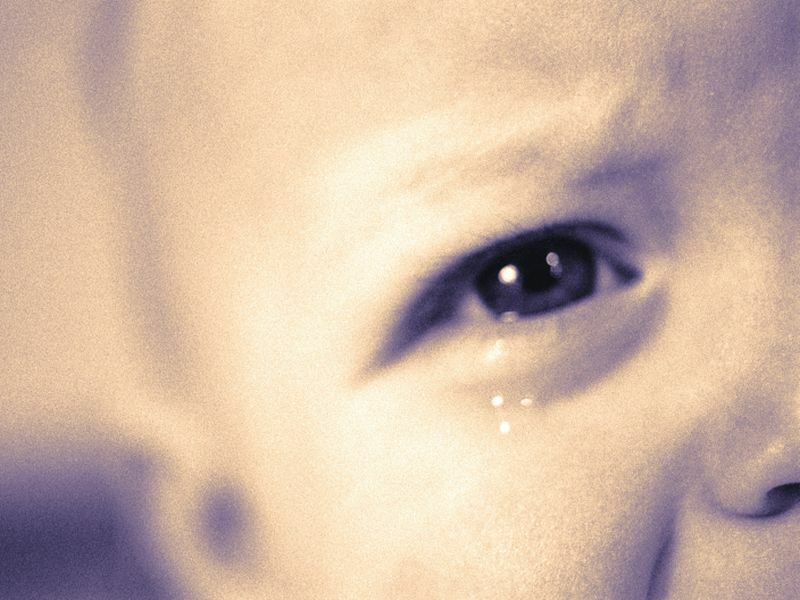 THURSDAY, March 28, 2019 (HealthDay News) -- Having a fussy baby doesn't just rob a new mother of sleep -- it can also increase her risk of depression, a new study finds. That fussiness, combined with premature birth, may significantly affect a new mother's mood. MONDAY, March 25, 2019 (HealthDay News) -- Racial segregation starts early in a child's life, with vulnerable black "preemies" receiving worse hospital care in the United States than white, Hispanic or Asian infants, a new investigation finds. 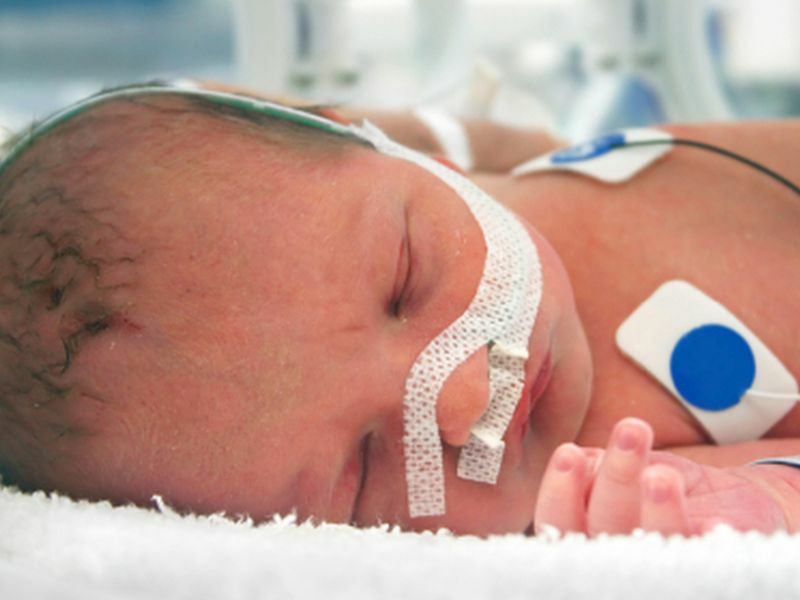 THURSDAY, Feb. 28, 2019 (HealthDay News) -- Tiny premature babies are often swamped by the sensors that monitor their health, attached to a mass of wires sometimes bigger than the newborns themselves. These bundles of wired sensors can impede the baby's medical care, damage their fragile skin with adhesive patches, and prevent parents from nurturing their newborn. MONDAY, Jan. 14, 2019 (American Heart Association) -- For women who use in vitro fertilization to get pregnant, particularly those who find success with frozen embryo transfers, recent studies have found they have an increased risk of preeclampsia, a pregnancy complication and serious blood pressure condition. Now, academic researchers may have uncovered why. 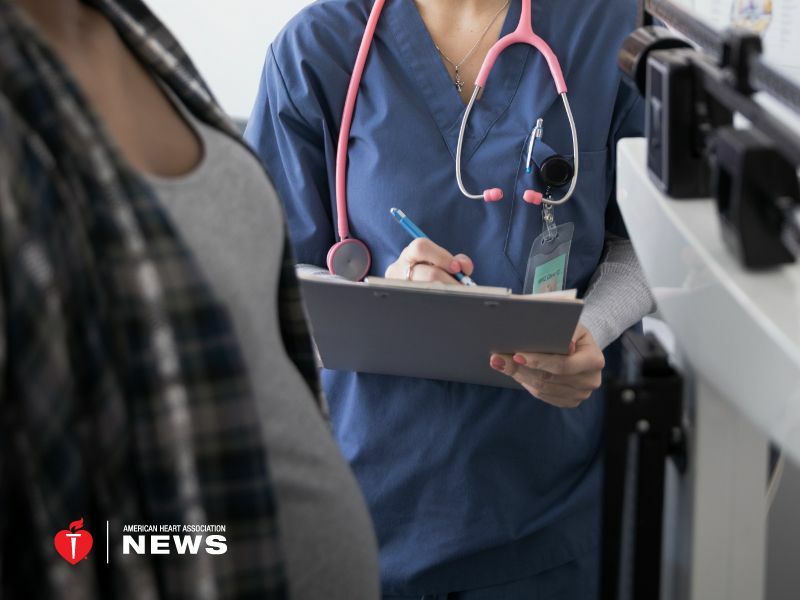 FRIDAY, Jan. 11, 2019 (HealthDay News) -- Pregnant women who get a flu shot protect not only themselves, but also their developing baby, health officials report. 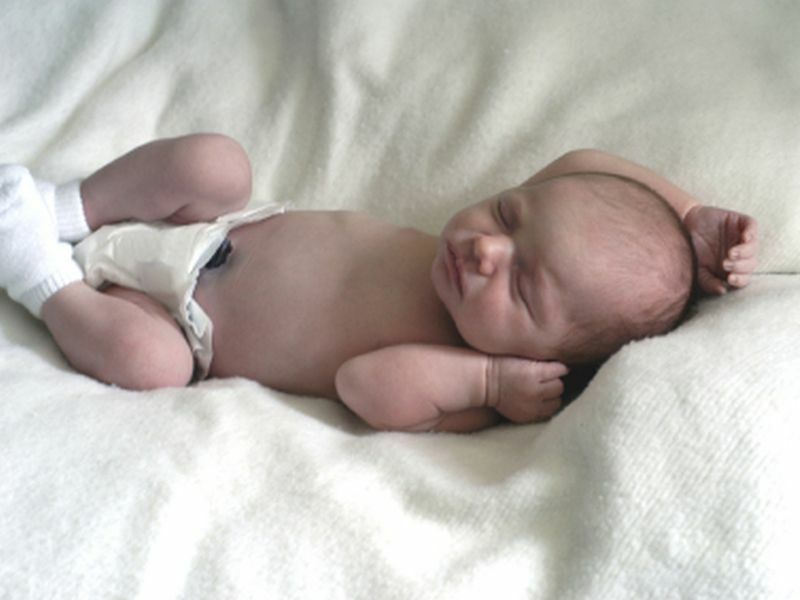 WEDNESDAY, Nov. 14, 2018 (HealthDay News) -- Head-size measurements can help screen for long-term IQ problems in very premature or very low birth weight babies, researchers say. WEDNESDAY, Sept. 26, 2018 (HealthDay News) -- Breastfeeding premature babies could boost their brain development, new research suggests. 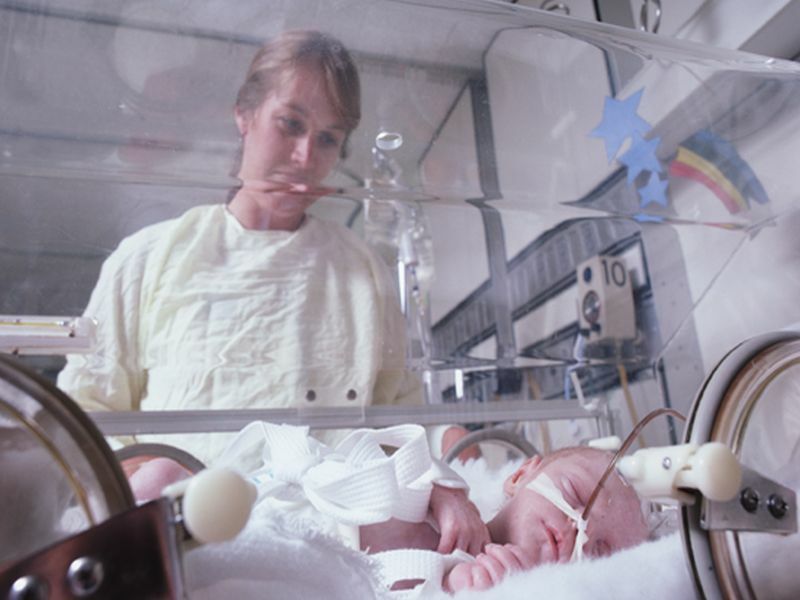 Preemies are at risk for long-term problems with thinking and learning. Pre-term birth is believed to affect the brain's white matter, which helps brain cells communicate with each other. MONDAY, Aug. 27, 2018 (HealthDay News) -- More and more pregnant or breastfeeding women are using marijuana, and U.S. pediatricians are pushing back against the notion that the drug is "safe." Are More U.S. Women Using Pot to Ease Morning Sickness? MONDAY, Aug. 20, 2018 (HealthDay News) -- A substantial number of pregnant women may be turning to marijuana to ease morning sickness, a new study suggests. The study of more than 220,000 pregnant women found that more than 5 percent had recently used marijuana. And it was more common among women who'd been suffering from morning sickness. THURSDAY, Aug. 9, 2018 (HealthDay News) -- The number of pregnant women addicted to opioids as they give birth has more than quadrupled since 1999, a disturbing new report shows. 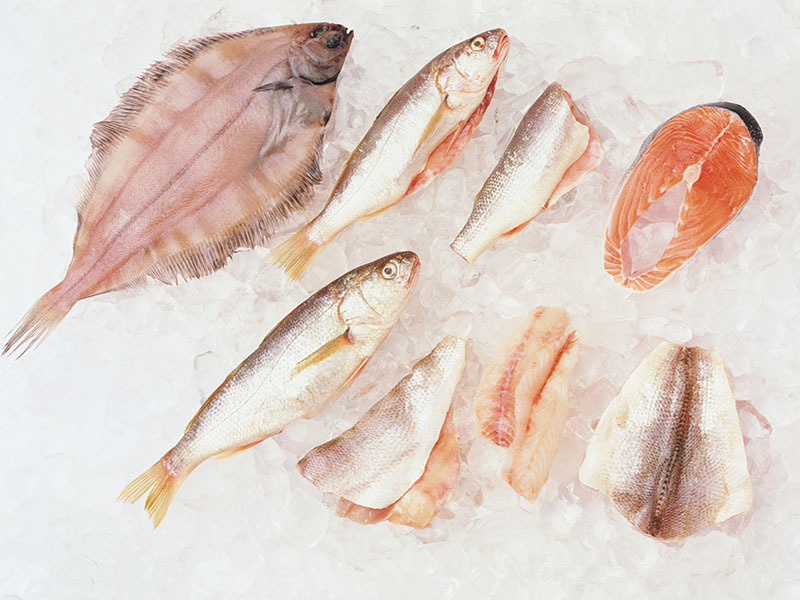 FRIDAY, Aug. 3, 2018 (HealthDay News) -- If you love fish and you're pregnant, new research suggests eating lots of it might help you avoid delivering your baby too soon. WEDNESDAY, June 27, 2018 (HealthDay News) -- Taking vitamin D supplements does not reduce the risk of pregnancy-related high blood pressure or pre-eclampsia, a new study finds. MONDAY, June 18, 2018 (HealthDay News) -- The soothing sound of their mother's voice may help improve sleep for babies in hospital neonatal intensive care units, researchers say. 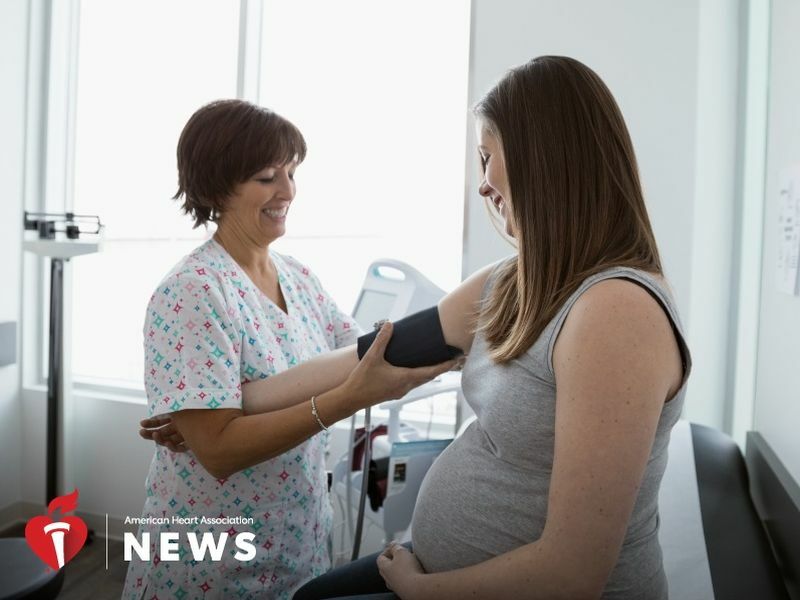 MONDAY, June 18, 2018 (American Heart Association) -- Higher weight gain during pregnancy increases the risk of preeclampsia in women giving birth for the first time, new research shows. FRIDAY, June 15, 2018 (HealthDay News) -- A number of infection control measures need to be taken when giving "kangaroo care" to premature babies in the neonatal intensive care unit, researchers say. 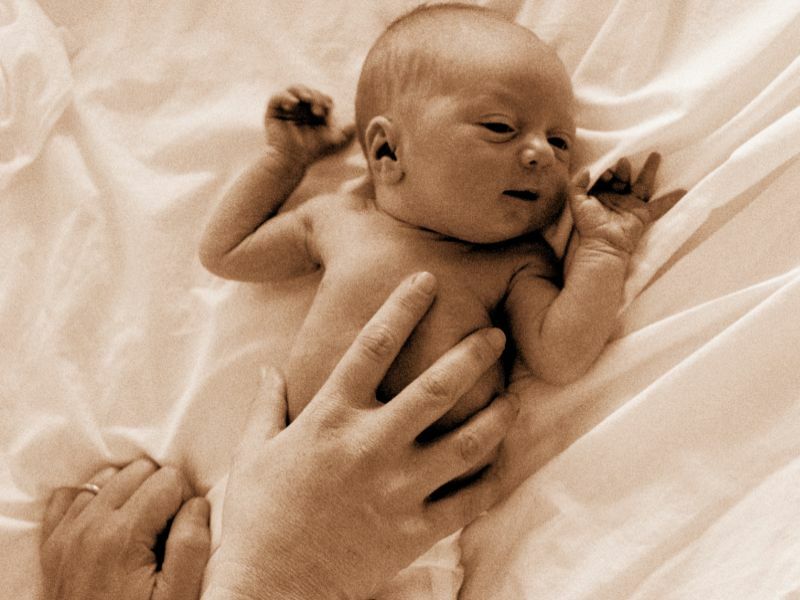 This approach -- which involves meaningful touch and skin-to-skin contact between parents and babies -- is increasingly encouraged in hospitals to aid the infant's development. THURSDAY, June 7, 2018 (HealthDay News) -- Researchers have developed a blood test that can predict a pregnant woman's risk of preterm delivery with up to 80 percent accuracy. Could Early Birth Hinder Adult Success? WEDNESDAY, June 6, 2018 (HealthDay News) -- Babies born prematurely or very small may not fare as well in life as those born full-term, a new research review suggests. 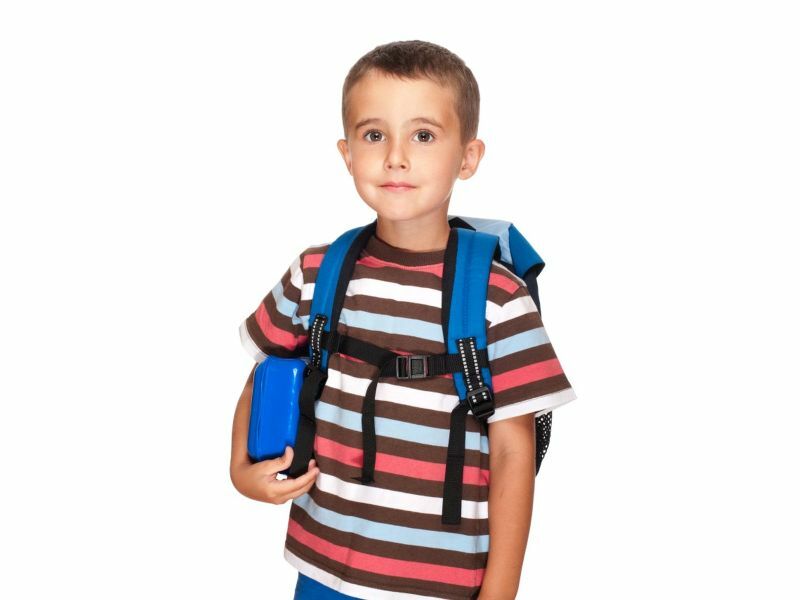 Adults who were born tiny or early may be more likely to lag behind educationally and professionally. They're also more likely to use social services, according to the review of 23 prior studies from eight countries. TUESDAY, May 22, 2018 (HealthDay News) -- Closing coal and oil plants may lead to fewer premature births and improved fertility in neighboring communities, according to two new studies. Scientists at the University of California, Berkeley found that preterm deliveries dropped 20 percent to 25 percent in California after eight power plants closed down between 2001 and 2011. WEDNESDAY, April 25, 2018 (HealthDay News) -- Most potential explanations of premature birth revolve around the mother, and what might cause her body to reject her developing fetus. But what if it's the other way around? FRIDAY, March 23, 2018 (HealthDay News) -- The hearts of adults who were premature babies pump less blood during exercise than adults who were full-term babies, a small study finds. 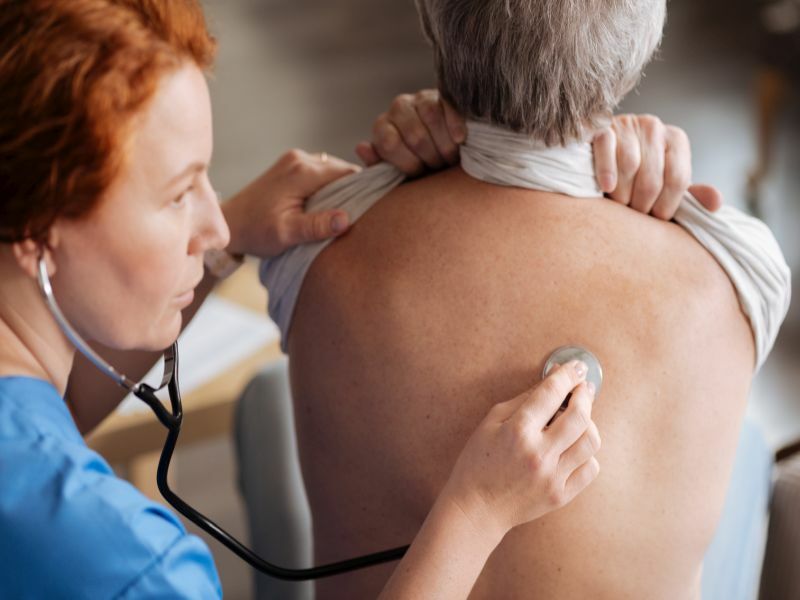 That might help explain why some people born prematurely are at greater risk for heart failure later in life, the study authors said. 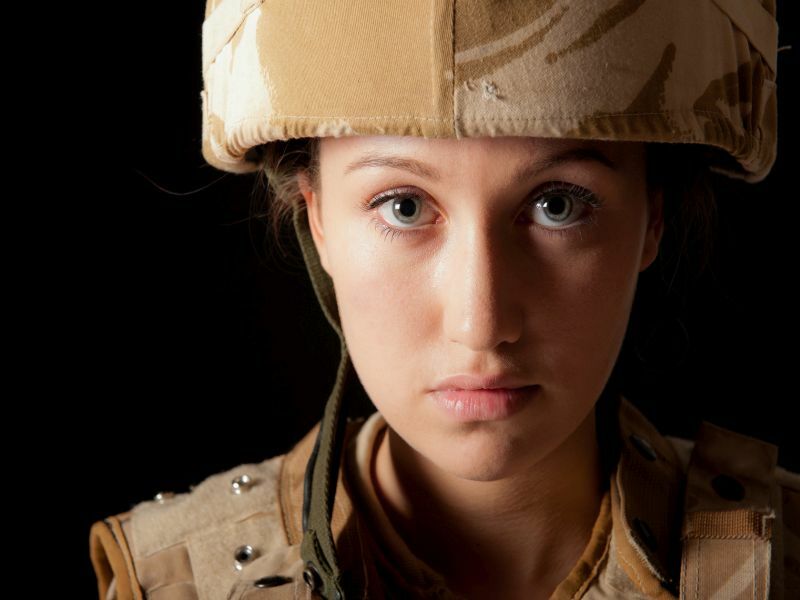 FRIDAY, March 2, 2018 (HealthDay News) -- American soldiers who have babies after a recent deployment are at increased risk of preterm birth, a new study suggests. MONDAY, Feb. 12, 2018 (HealthDay News) -- As if preemies didn't face enough struggles, a new study finds they have more difficulty making friends, though things improve once they start school. MONDAY, Jan. 8, 2018 (HealthDay News) -- The United States has had the smallest decline in child death rates among wealthy nations over the past 50 years, despite spending more on health care per child than the other countries, a new study finds. TUESDAY, Dec. 19, 2017 (HealthDay News) -- Women with a relatively short cervix are at higher risk of preterm delivery, but new research shows that a cervical device may cut that risk substantially. THURSDAY, Dec. 7, 2017 (HealthDay News) -- When parents bring a premature baby home from the hospital, it's the dads who feel the most stress, a new study finds. FRIDAY, Dec. 1, 2017 (HealthDay News) -- People who were born prematurely may have smaller-than-normal airways in adulthood, which can cause respiratory problems, researchers say. 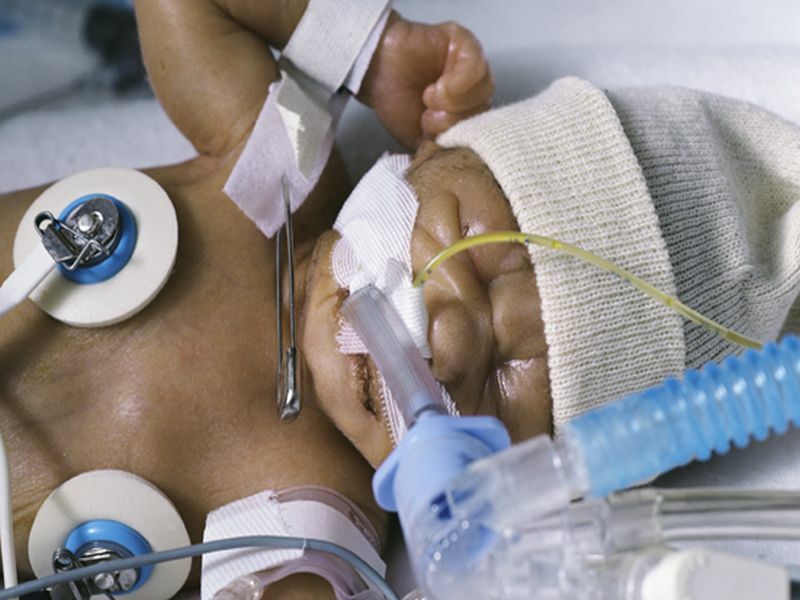 Premature birth is associated with poorer heart and lung function, but the reasons why have not been fully understood. WEDNESDAY, Nov. 1, 2017 (HealthDay News) -- After nearly a decade of decline, the preterm birth rate in the United States has risen for the second year in a row, the March of Dimes reports. 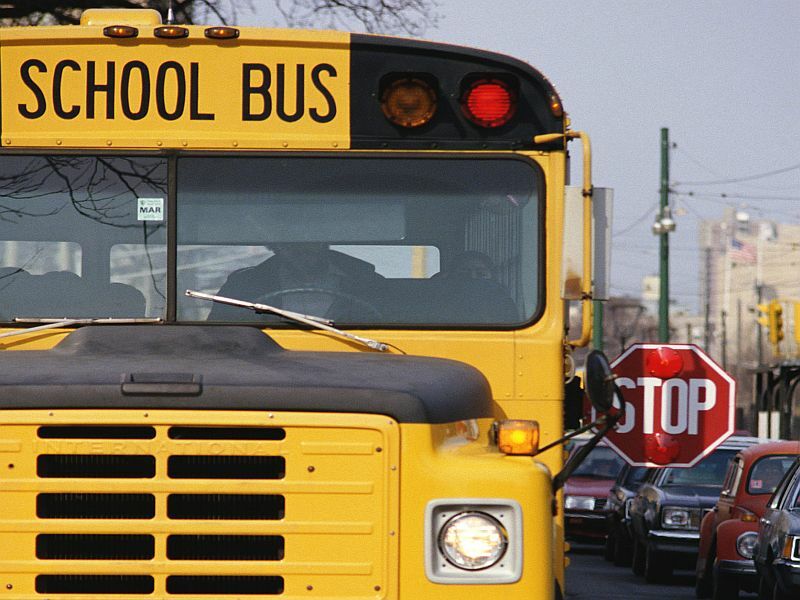 And racial and ethnic disparities are driving the increase, the group added. WEDNESDAY, Oct. 18, 2017 (HealthDay News) -- Higher doses of vitamin D can improve the bone health of premature babies, new research suggests. 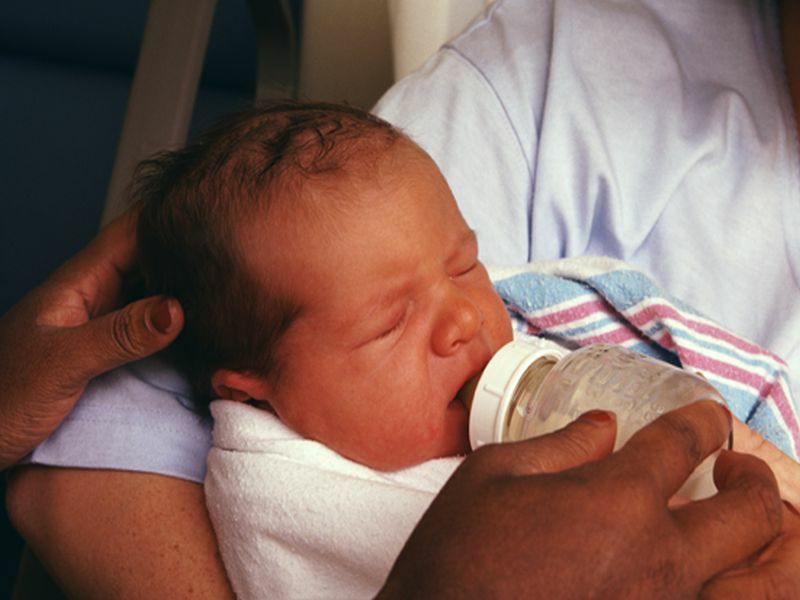 THURSDAY, Oct. 5, 2017 (HealthDay News) -- Researchers say they have identified three criteria that suggest an extremely premature infant has a low risk of developing sepsis, which might allow doctors to spare these babies early exposure to antibiotics. Sepsis is an infection of the blood, and it's a serious, life-threatening condition. TUESDAY, Oct. 3, 2017 (HealthDay News) -- The same medication to prevent preterm birth can cost $200 -- or nearly $11,000, a new study finds. Harvard Medical School researchers found that use of a brand name and prepackaging was associated with a 5,000 percent increase in the cost of the synthetic hormone progestin. WEDNESDAY, Sept. 27, 2017 (HealthDay News) -- Infants born early in a full-term pregnancy have a higher risk of poor heart-lung fitness later in life, a new study suggests. The study included nearly 800 people in Northern Ireland who were born at full-term (37 to 42 weeks) and had their cardiorespiratory fitness assessed at ages 12, 15 and 22. THURSDAY, Sept. 21, 2017 (HealthDay News) -- Premature births cost U.S. employer-sponsored health plans billions of dollars a year, a new study claims. About 1 in 10 infants in the country are born prematurely (less than 37 weeks gestation), putting them at increased risk for birth defects and long-term health problems. Is an Occasional Drink OK During Pregnancy? TUESDAY, Sept. 12, 2017 (HealthDay News) -- During the nine months of pregnancy, many pregnant women have wondered -- would one or two glasses of wine really put my baby at risk? WEDNESDAY, Sept. 6, 2017 (HealthDay News) -- Researchers say they've pinpointed gene areas linked with preterm birth -- and they said this could pave new ways to prevent the leading cause of death among children under age 5 worldwide. Does Immune System Hold Clues to Preterm Births? FRIDAY, Sept. 1, 2017 (HealthDay News) -- By learning more about the immune system changes that occur during pregnancy, scientists hope they can someday predict if babies will be born prematurely. 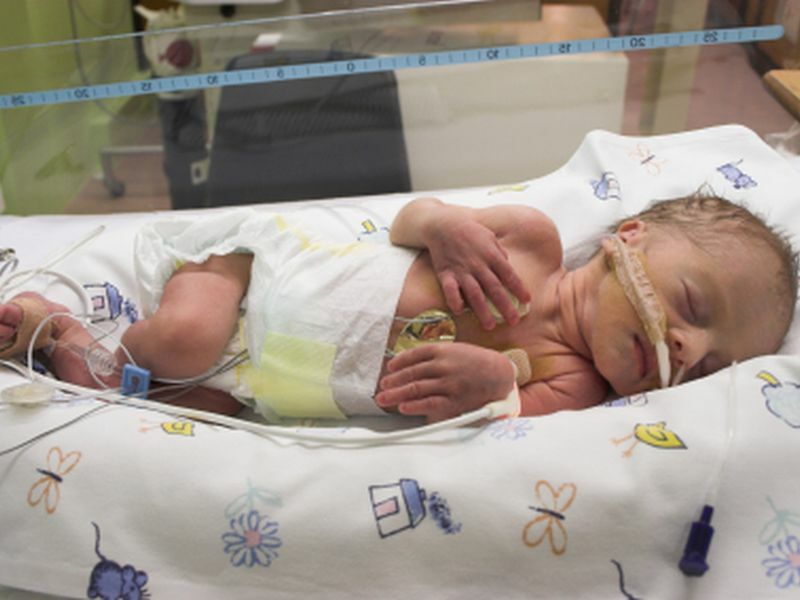 Does Race Matter in Care 'Preemie' Babies Receive? MONDAY, Aug. 28, 2017 (HealthDay News) -- Race and ethnicity can make a difference in the quality of care a premature baby receives in a neonatal intensive care unit (NICU), a new study finds. 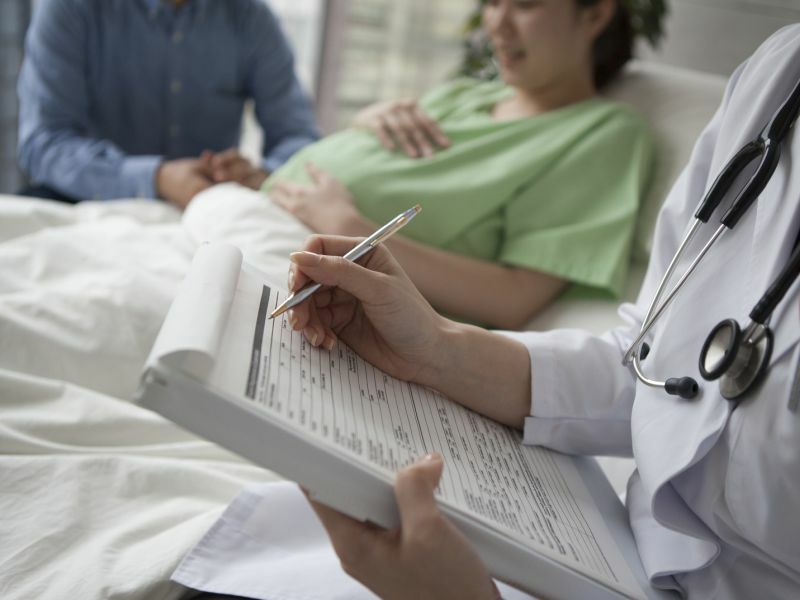 Top-quality hospitals in California tend to deliver better care to white babies compared with black or Hispanic newborns, researchers report. FRIDAY, Aug. 11, 2017 (HealthDay News) -- The early life of a very premature baby can be a hectic and stressful time for parents. But once the child is grown, parents are as satisfied with life as those whose babies were born at full term, new European research finds. TUESDAY, Aug. 8, 2017 (HealthDay News) -- Sleep disorders during pregnancy may increase the risk of preterm birth, a new study finds. TUESDAY, July 11, 2017 (HealthDay News) -- Preeclampsia, a serious pregnancy complication, continues to increase in the United States, exacting a significant economic toll, a new study shows. FRIDAY, June 30, 2017 (HealthDay News) -- Teen births in the United States dropped to a record low last year, falling 9 percent from 2015, U.S. health officials reported Friday. MONDAY, June 12, 2017 (HealthDay News) -- Parents of premature babies may find reassurance in a new study that says most will do just fine later in school. TUESDAY, May 30, 2017 (HealthDay News) -- Teen births continue to decline in the United States, with health officials reporting a 9 percent drop from 2013 to 2014. 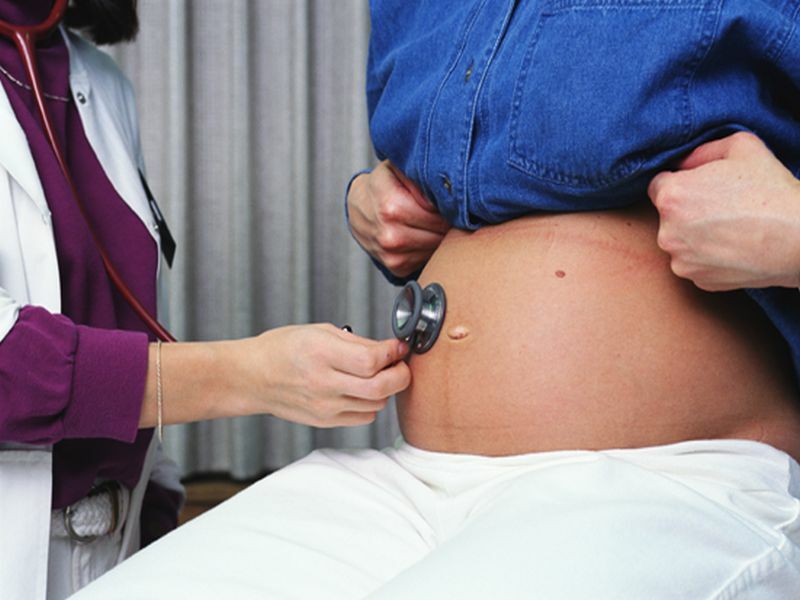 TUESDAY, April 25, 2017 (HealthDay News) -- Doctors should screen all pregnant women for preeclampsia, a serious complication tied to high blood pressure, according to the U.S. Preventive Services Task Force. FRIDAY, April 21, 2017 (HealthDay News) -- Signs in stores warning about the harms of drinking during pregnancy appear to work: New research shows boozing by mothers-to-be has declined 11 percent in states that require such postings.